Aerialists, Dancers, and Divers find the Real Enchantment Under the Sea. What is it about aquatic acrobatics? Are damp dancers just more fun? For “The Dream” at Wynn Las Vegas, that’s beside the point. With arcing jets of water and the shimmering surface of a pool as de facto cast members, the fluid body movements of top aerialists and tumblers find their natural counterpoint. The human body is 98% water, and watching the cast of “The Dream” twist and writhe, that is easy to believe. 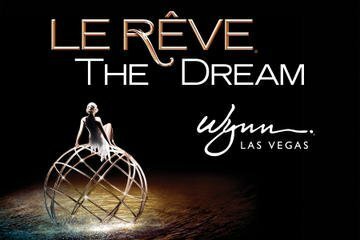 Let’s make this clear up front – “The Dream” (properly called “Le Rêve,” which is French for “The Dream”) is not a Cirque du Soleil show. 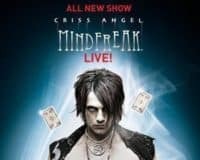 Creator Franco Dragone has worked with Cirque, but Cirque did not produce this show. That is more of a distinction of paychecks than of concept, though, and “The Dream” invites many comparisons to Cirque’s own aquatic extravaganza “O” at the Bellagio. There are a few important differences to note. First, “The Dream” is somewhat cheaper, starting at $147 per ticket compared to $300+ for “O.” Second, ironically considering the title of the Cirque show, “The Dream” is staged in the round. Rather than an orchestra, curtain, and proscenium, the central pool/set is surrounded on all sides by arena seating. The back row is closer for better views, and each section gets a slightly different view of the spectacle. Being near to the stage adds to the pleasant vertigo of an aerialist soaring and descending from the rafters, impossibly high overhead … or to the rising gorge of observing a diver from those same rafters making the jump into this pool of indeterminate depth, with no cables or nets whatsoever. The “Oohs” and “Aahs” definitely peak with the heart-stopping diving display, but the aerialists keep coming, in dazzling and incandescent costumes evoking deep-sea bio-luminescence. They complement partner-dance, solo-dance, and synchronized dance routines, also in lavish costumes. Sometimes the dancers lie down in the pool and resemble synchronized swimmers, making expert use of an unseen and complex pool topography. Rarely does only one thing happen at a time. Sets resembling giant, spinning trees or water-fountains that look like wedding cakes rise out of the center of the pool as if conjured from a witch’s cauldron. Vertical jets of water recall the fountain at the Bellagio but with dancers in their midst; and at times, multiple arcing streams of water converge in the center of the pool, making the stage into a domed cathedral of liquid. Be advised: this is an acrobatic show with a splash zone. The music – percussive, orchestral, with the occasional airy vocal and overdriven guitar – has been described as “Disney-esque.” I can see why, but I would liken it more to Enya meets Blue Man Group meets the score of “Lord of the Rings” (a film that did roll credits over an Enya cut). We get a framing story that is a little hard to follow – something about a girl trying to choose between a good guy in a white tuxedo, and a bad guy in a red cape. 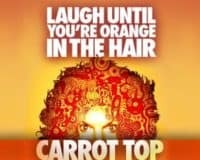 The story plays out with humor that is less clownish than typical circus fare, as well as magic tricks – vanishes, handkerchief turns into a dove, etc. It’s not the strongest part of an extremely strong show, but productions in this genre benefit from resisting easy interpretation. The story can be whatever you want it to be, written on the graceful bodies and emotive faces of the expert cast. You bring the imagination; they bring the hectare of water. Verdict: “Le Rêve (The Dream)” at the Wynn Hotel Las Vegas is an intimate, breathtaking, and moving interpretation of mankind’s relationship with water and with each other; a family-friendly show that changes and evolves with each corner of the arena you see it from.